Discussion in 'Electronic Games' started by Skitty, Jun 28, 2008. I just got an email from Pokemon Japan with this picture. 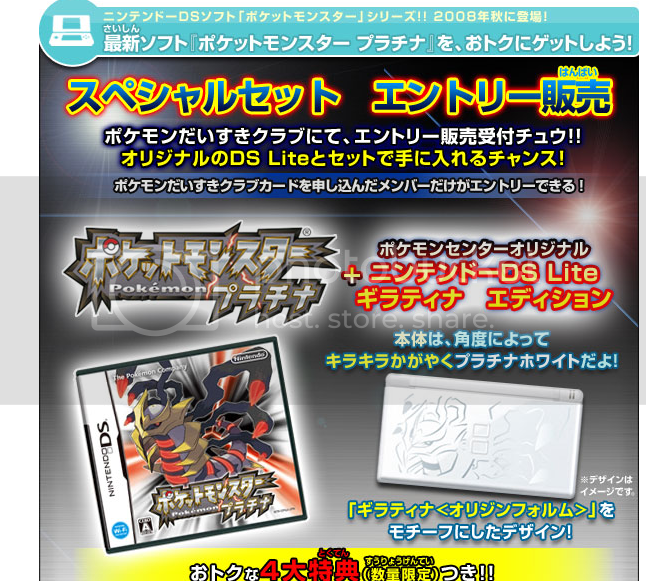 A new Giratina DS Lite will be coming out soon. nice DS, but i love mmy original DS a lot more, it's stronger and doesn't brake easily. Hmm, the new one looks alright. I would have rather seen silver on black though. Would have stood out a lot better. I think the older Dialga Palkia DS looks better though. Yea....what Mew* said.....I would've liked a different color scheme.